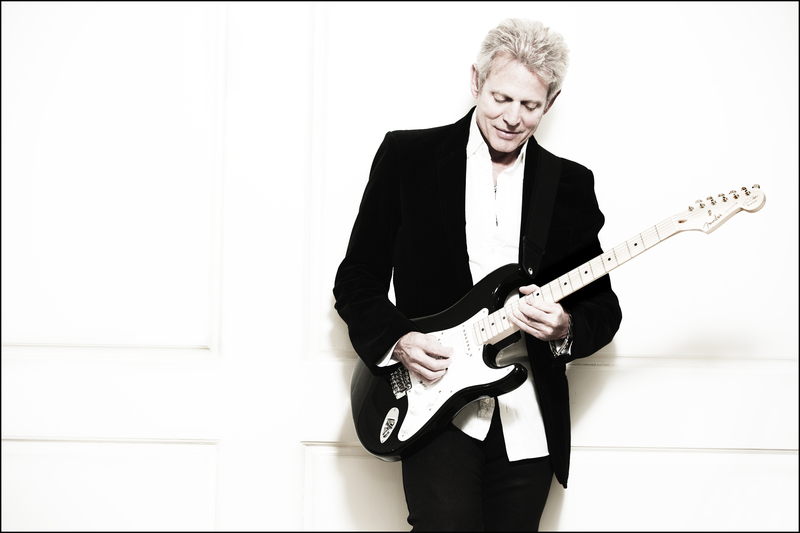 Don Felder is known for being quite an accomplished guitarist and songwriter among other things. His time in The Eagles during their productive years helped to propel the band to incredible heights. He also is a pretty darn good vocalist as many who have seen his band can attest. His book Heaven and Hell: My Life in the Eagles (1974-2001) demonstrated he can also write a New York Times best selling book as well. We recently caught up with him after one of his shows and he gave us an update on his big upcoming summer plans with Styx and Foreigner dubbed the Soundtrack of Summer tour, as well as other things he is up to. Rock Show Critique: Can you give us an update about the Soundtrack of Summer tour going on this summer? 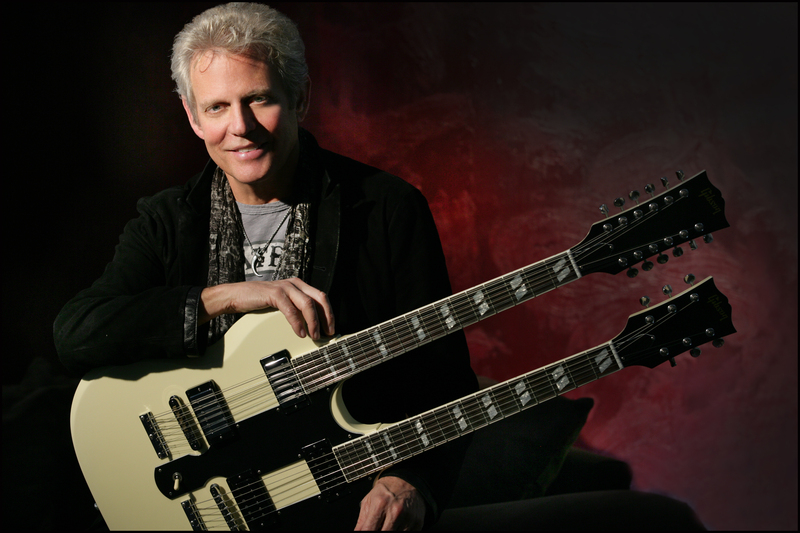 Don Felder: Well personally I’m really excited about it. I’ve known Tommy Shaw and the guys from Styx probably for about ten years. We first did a series of shows together with Alice Cooper in Phoenix for Alice Cooper’s Christmas Pudding. Every year Alice puts on this big charity event and asked me to come over for the first time about ten years ago. Styx was on the bill, I said I didn’t bring my whole band, it was just me. So I said I’ll just sit in with these guys. So we went to the soundcheck and Tommy Shaw had learned all the harmony guitar parts on “Hotel (California)” they’d really done their homework and just had a great time. Tommy actually wound up co-writing a couple of songs on my last CD Road To Forever. And we’ve done other charity things together and just stayed friends. I’ve done a bunch of shows with Lou Gramm in Las Vegas, loved the whole Foreigner catalog, so many great songs there. I never met Mick before until earlier last fall in preparation for this tour, didn’t really know quite what to expect because he’s legendary as far as Foreigner goes. But turned out to be one of the nicest guys I’ve come across. Their new singer Kelly Hansen’s just got an amazing voice, I wish I could sing like Kelly. We recorded a new version of “Hotel California” together with us singing different lead vocals with Kelly singing a verse, me singing a verse and Tommy singing a verse. I rewrote the solos on the end where Tommy plays, Mick plays and I play. We did a Foreigner/Styx version of that song that’s gonna be on the tour record. Just the whole time everything we were doing together whether it was press, or rehearsals, interviews or in the studio it was really easy, really comfortable, really nice people. And it feels like those two organizations feel like family. I’m really looking forward to this summer a great deal. Spend the time on the stage and off stage with that whole group of people. Everyone’s really a pleasure to work with. As well as the catalog of songs that those three bands have will make a really amazing live show. It’s just like an evening of hits. It’s gonna be a lot of fun. RSC: What do you do in your downtime? DF: I don’t have downtime. If I’m home I have a studio in my house and I usually am either writing, pre-producing tracks to go into the studio, pre-producing the tracks for the summer tour, the songs we’re gonna do and putting all that together so we know exactly our running time for our set. So there’s no downtime. I have a swimming pool and I’ve been in it twice in the last six months (laughs). I don’t wanna say I’m a workaholic but I enjoy what I do and I try to do it the best I can in all aspects of it. It’s different when your a band, but when its just you, you have to take care of everything. Between you and your manager and booking agent, its the job you know. RSC: Will you have the same band for the Soundtrack of Summer Tour? DF: I’ll have a different drummer. My main drummer works for myself, David Gilmour and Crosby, Stills & Nash. So he for this gig was on a CSN run. Chris has worked with me on and off for five or six years now, knows the show really well, he had a hole in the Pat Benatar schedule. So it will be the same band with a different drummer. RSC: Over the years you’ve played on so many great songs. Are there some songs that are overlooked that you don’t get to play live? DF: I was out with (Peter) Frampton last summer and we worked up at a soundcheck, that afternoon before the show that night a version of “While My Guitar Gently Weeps” Peter and I traded solos, just made them up on the spot, I had a ball doing that. Because it wasn’t a song that I normally do, I know the song obviously we just jumped in with both feet, he sang, I sang, we traded solos it was just really a lot of fun. We’ve been talking to Foreigner and Styx about doing some kind of spontaneous collaboration during the set. When we play together on the same bill Tommy usually comes out, sits in and I sit in with them and play something on their set, something like “Blue Collar Man.” So we’re trying to figure out how we can get in the middle of each other’s set and kind of wander in and out during the show and have fun doing it. RSC: Out of all the albums you played on what is your favorite? DF: Wow that’s really a hard question. You know the obvious go to Hotel California, I think that’s the best album in its entirety that I had the honor of being a part of. Not only was the songwriting for all the songs musically and lyrically all kind of linked together, because once we came up with the concept of Hotel California based on the music that I had written, all the other stories started falling out of that. When you first drive into LA (Los Angeles) and you kind of get there your this new kind of naive musician in town you become “The New Kid In Town.” When you have a lot of hits you become jaded with drugs, alcohol and success it becomes “Life In The Fast Lane.” Then you start reflecting back on all the years you spent in bars, doing all the things as a young teenager that you weren’t supposed to be doing. Like music before you became successful you just wonder if all that time wasn’t just “Wasted Time. So a lot of the songs came out of that concept all kind of link together as a thread. So it probably is the most coherent album, that I worked on and its kind of a concept album lyrically and songs breaking out of. As well as some really innovative stuff that the Eagles had never done before on that particular record like “Victim Of Love.” With Joe in the band we recorded that whole song live except for the lead vocal and the background vocals. We never recorded records that way, it was always overdub and editing and fixing. For “Hotel California” I think I played sixteen different guitar tracks on that song, doing harmony parts, background parts, reggae parts. We build this track up a way the Eagles had really never done. So that was a unique record for me to be a part of. Obviously it went to be pretty successful. RSC: Off Hotel California the closing song “The Last Resort” is such an amazing tune. How did that song come about? RSC: After the tour with Styx and Foreigner is finished what are your plans for the rest of 2014? DF: I do a lot of solo shows like you saw here. I also do what I call “billionaire birthday parties” or private events that aren’t publicized. I do probably thirty or forty of those a year. I usually try and take off from the end of the first week of December through the middle of January. Just so I get to be either home or with my family and have Christmas and the holidays. I turn down New Year’s Eve gigs every year. I just don’t wanna be around that many drunks to tell you the truth (laughs). I’ll be working either public shows or private shows for the rest of the year. RSC: Any future albums in the works? DF: You know I was saying earlier that I don’t really have any downtime. I collect ideas whether I’m driving in the car and hit my I-phone, sing a melody into it a chorus line or hum a guitar part. I sit and watch television when I’m on the road at the hotel or at my house and I always have a guitar in my hands. So if I hear something I’ll figure out what it is as its being played by an orchestra and see if there’s something I can kind of extract from that and turn it into a song then record it on my I-phone. I call these snippets like I did with the progression for “Hotel California” just store it away and when it comes time to sit down and start writing at home in my studio I start going back through those snippets expanding those to song ideas. I probably have seventy-five or maybe eighty song ideas right now that either will be expanded into full blown songs. Some of them have lyrics, some I have lyrics I have to write music for. Sitting on a plane I’m sitting there writing lyrics all the time. It’s a bit of a problem that I’m so obsessed with music but I’m really enjoying it. So if you are doing what you like to do in life that’s what you should be doing. So that’s what I do.